"...the right to defend one's home and one's person when attacked has been guaranteed through the ages by common law." The head instructors of Miami Shooters Club are long time friends and training buddies Marcos Avellan, Kevin Perez, and Devin Genchi. All three men have years and years of training in firearms and self-defense - having traveled all around the world to train in total self defense involving hand-to-hand combat, firearms, and other weapons. The National Rifle Association (NRA) is the largest firearms training organization in the world. 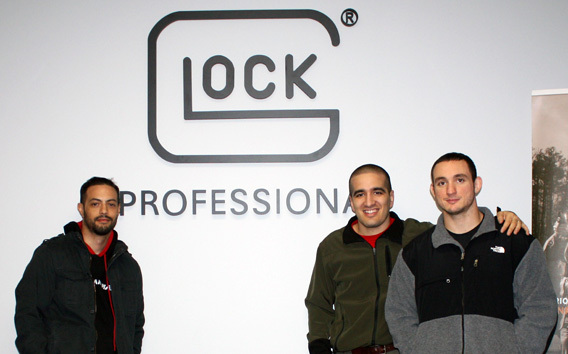 In February, 2013, Marcos, Kevin, and Devin became certified NRA Pistol Instructors. A little later the same year, they would also pick up two more instructor credentials from the NRA for Protection Inside the Home and Protection Outside the Home. They eventually added another credential from the NRA, "Range Safety Officer" to their collection of NRA certifications. 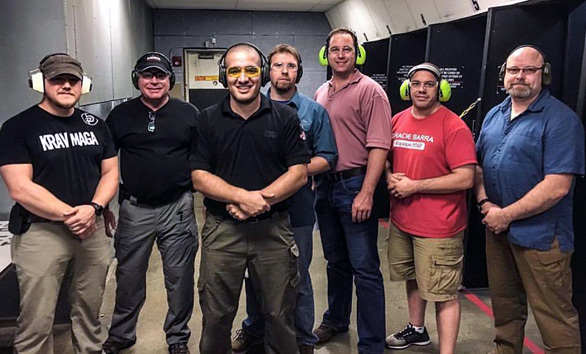 After teaching NRA courses for about three years, in March of 2016, Kevin and Marcos met the qualifications to fly out to the NRA Headquarters in Virginia and be evaluated by the heads of the training department to become NRA Training Counselors. NRA Training Counselors are the instructors that certify other people to become NRA instructors. There are only about 400 active NRA Training Counselors in the USA. After about 30 hours of training, evaluations, and a one-on-one interview, Marcos and Kevin were accepted as a NRA Training Counselors. In 2017, Marcos and Kevin picked up two more NRA Instructor Certifications: Shotgun and Rifle. Now, as NRA Training Counselors, they can certify individuals to become instructors under the NRA in the following disciplines: Pistol, Rifle, Shotgun, Personal Protection In The Home, Personal Protection Outside The Home, and Range Safety Officer. Every month, along with providing firearms training, Miami Shooters Club also certifies new NRA instructors. If you would like more information, contact us at (305) 551-0100. 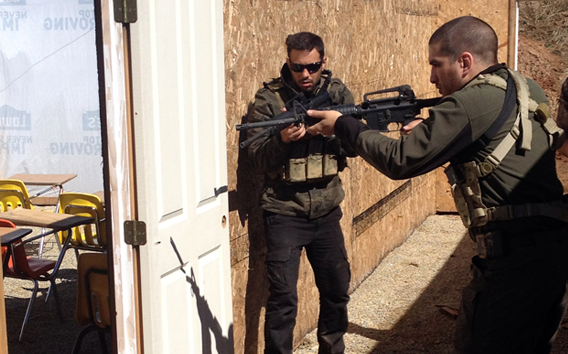 In March, 2014, Marcos, Devin, and Kevin trained for seven days with Asymmetric Solutions out of Missouri and had the opportunity to receive training certifications under former Green Berets, Navy Seals, and other high level operators. 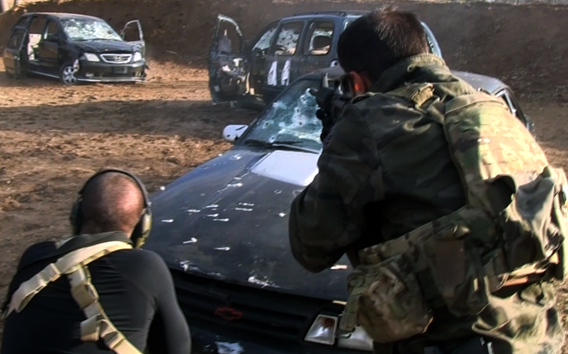 they received training certifications for the following eight hour courses: Pistol 1, Carbine 1, Close Quarter Battle 1, Small Unit Tactics, Vehicular Defense, and Wilderness Survival. Then in April, 2015, they returned to Asymmetric's Missouri location, this time for ten days, and received certifications for the following eight hour courses: Pistol 2, Carbine 2, Team Tactics, Active Shooter, Close Quarter Battle 2, Precision Rifle 1, Shotgun 1, and Escape & Evasion. In 2016, Asymmetric Solutions opened up a facility in Jacksonville, Florida, which is driving distance from Miami. Now they frequent Asymmetric and take two courses at a time over the weekend, adding to their list of training certifications under them. Miami Shooters Club has a special training package with Asymmetric Solutions, if you would like more information about it, please contact us. In February 2015, Kevin, Marcos, and Devin became certified to provide Simunitions training. In September 2015, they participated in a six hour 3 Range Combatives Course with Chad LeBrun, an NRA instructor that is certified with the Modern Army Combatives Program and has worked with the Army, Navy, Marines, DOD, DEA, FBI, and many other groups and units over the past fifteen years. 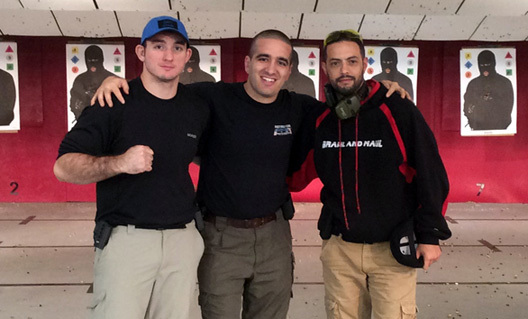 In October 2015, Kevin and Marcos trained 40 hours with the legendary Massad Ayoob in the MAG-40 course and passed the written exam and shooting qualification - with Kevin graduating with "Top Shot" honors out of the entire class. Massad is considered universally as one of the greatest firearms instructors alive and has too many credentials to list here. 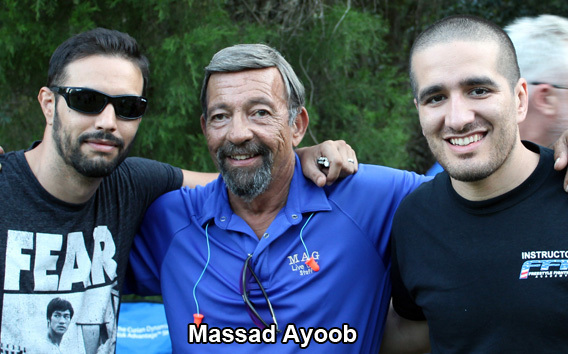 Later on in 2016, both men attended another 40 hours of training under Massad Ayoob and became certified Deadly Force Instructors under Massad Ayoob. In October 2015, Marcos, and Devin flew out to the ﻿﻿Glock USA Headquarters in Smyrna, Georgia and they became certified Glock Armorers, scoring 100% in their exams. A few months later, they returned to the Glock Headquarters in Smyrna and took the Glock Instructor Course. After three days, they passed the evaluation and they became certified Glock Instructors. In April 2016, they participated in another six hour 3 Range Combatives course under Chad LeBrun, further improving on their weapon retention skills. Although we train law enforcement, military, and other professionals that depend on firearms, the majority of our students have never touched a gun prior to doing so in our safe classroom setting. We have men and women of all ages, ranging from 18 to 80 years old, most having shot their first gun with us. The key to our success with our beginners is our curriculum and our instructors. Our instructors have accumulated multiple teaching certifications giving them the ability to provide a structured and safe method to teaching total newbies that have never touched a gun before. We know it can be scary and intimidating to handle a firearm without the proper knowledge - and that's why we offer everyone a free private lesson. If you would like a FREE introductory private lesson about firearms, please contact us at (305) 551-0100 for more information.